Minister for Women, Chil­dren and Poverty Allevia­tion Mereseini Vuniwaqa has commended the resilience of the women of Navotua Village, Ya­sawa. She’s also made special praise of their income-generating project which involves a commodity widely found in the Yasawa Group – coco­nuts. 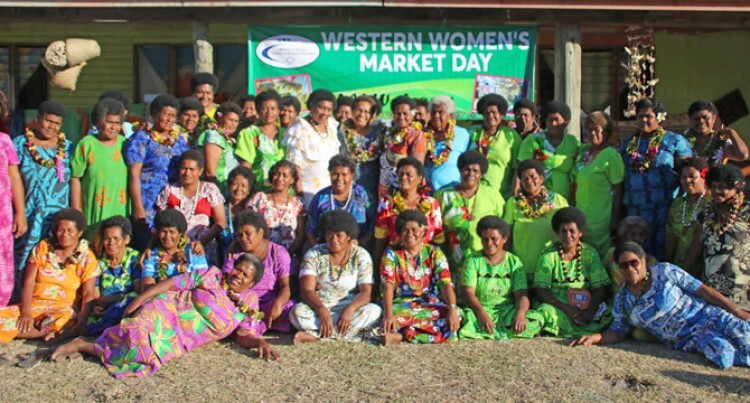 “I am really pleased to see the re­silience shown by the women of the village of Navotua in making use of their surrounding environment and natural resources, creating a business that generates income not only for their villages, but for their families as well,” Ms Vuniwaqa said. She highlighted the importance of family support for the women and their business enterprise. “The husbands’ support to their wives’ business aspirations is very important because it goes a long way,” Ms Vuniwaqa said. Navotua Village women estab­lished a business solely focused on selling coconut byproducts, rang­ing from, coconut soap, coconut paste and coconut virgin oil. In addition the enterprising wom­en are also selling kura (noni) juice and cassava chips in their range of products. 53-year-old Sesarina Nawaitavou is one of these women who has taken up this rare opportunity with both hands and has thrived in her coconut business despite the re­mote geographical location. “We took up the skills courses in 2011, so we have opted to pursue what we have learned in order to earn money for our families and our village,” said Mrs Nawaitavou. She is the founder and director of Nawaitavou Virgin Oil, which re­cently won the Best Value Adding Award for the Western Division. Her business was established in 2015. Virgin Oil bottles cost $10 and Noni Juice bottles $20, while her other products range in prices from $10 to $40. “I knew there was an underuti­lised market in the selling of co­conut products, so I took it as an opportunity to start mine and capi­talised on it,” said Mrs Nawaitavou. Her company supplies coconut-based products on a monthly basis to two nearby resorts, the Nanuya Island Resort and the Blue Lagoon Resort.